The most developed area in Algonquin Park is the Highway 60 Corridor. Hwy 60 is open year-round and is a well-maintained provincial highway that crosses the southern portion of Algonquin Park. The Corridor section is measured by kilometre markings from west to east, starting at the West Gate (Km 0) to the East Gate (km 56). The kilometre markers are used to identify various locations along the route. 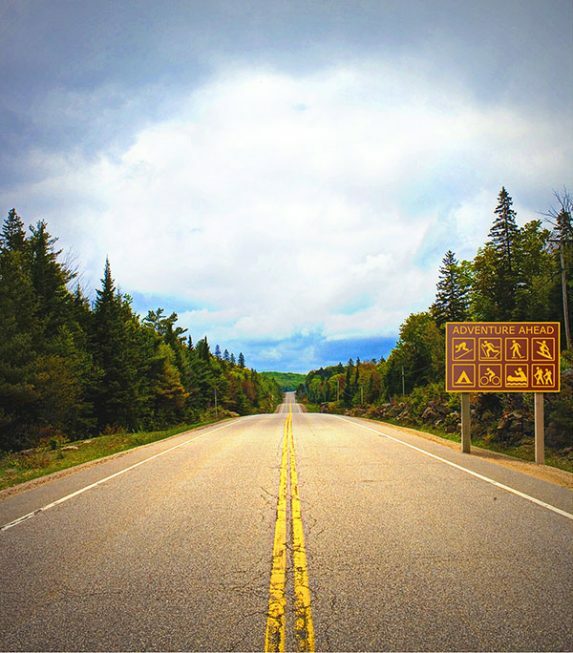 Highway 60 is the most accessible area of Algonquin Park, and the location of a number of attractions, campgrounds, access points and picnic areas. You can find more information on the park website by clicking here, or by viewing the Friends of Algonquin Park map linked below. Take great care to watch for wildlife while driving Highway 60 in Algonquin Park. Turtles, moose, wolves and bears all cross the highway, and can behave unpredictably when startled by a vehicle. If you feel the need to stop and watch a moose feeding, or take a picture of the fall colours, make sure you pull well off the roadway and watch out for other vehicles.